While doing some research on the internet I can across a website I had not come across before. As you can see from the title the website concentrates on will transcriptions and better still, the site is FREE to register and FREE to use……..How good is that? The wills. How do they get onto the website? Well, people like you and me, family and local historians transcribe a will that they have in their collection. Then a simple online form is completed, which tells whose will it is; where and when the will was Attested and then the content. Three things I like are 1. The contributor retains the copyright. 2. The transcription is for family and surname history only but permission should be sought to copy, the site is NOT providing the information for any commercial use. 3. The details of who transcribed the will are kept private but there is the facility of contacting them online through the site – you never know there may be a family link. Let’s see whose will I can find using the simple search box. As we all do, I tried surnames that tie in with my family. Did I really expect to find any, well I hoped a little. I then tried some more common names and found a few dating back to the 1700’s. Then I tried towns, well two towns and no will came to light. Now to try a county, surely I must find something here…….Bingo! The will of John Bass Oliver came to light and informed where he lived and his social status. The will also went on to tell where John wished to be buried and why. The information was hard to read as there were no paragraphs, and the information was aligned to the left and the jagged right edge seemed to draw the eye. But nevertheless, John’s will told of where he had property, who his servants were and how much they were to be given under the terms of John’s will. Family members, as you would expect, were mentioned along with their spouses, but there was also mention of a business partnership. Without going off on a very big tangent and looking for John Bass Oliver, I have spent about five minutes on Google and came up with Birstall, Leicester and London connections to the name and occupations being landowner and solicitor. The site was not helpful to me at this time, but I think when the site is better known and more wills are added it could save a lot of time looking for that elusive but of information that you would probably only find in a will. This entry was posted in General, News on December 6, 2015 by carol. 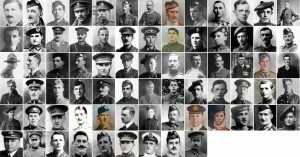 Victoria Cross winners in Scotland during World War 1 – do you have one of Scotland’s heroes in your family tree? During The Great War 627 people were awarded the Victoria Cross, the highest military decoration awarded valour ‘in the face of the enemy’ to members of the armed forces, or civilians under military command, of Commonwealth countries and previous British Empire territories. It is the first order of wear in the UK and takes precedence over all other orders, decorations and medals – including the Order of the Garter. GAZETTE ISSUE 30471, VICTORIA CROSS,: His Majesty the KING has been graciously pleased to approve of the award of the Victoria Cross to the undermentioned:- No. 240171 Lance-Corporal Robert McBeath, Seaforth Highlanders (Kinlochbervie, Lairg, Sutherland). For most conspicuous bravery. On 20 November 1917 west of Cambrai, France, when with his company in attack and approaching the final objective, a nest of enemy machine-guns in the western outskirts of a village opened fire both on his own unit and on the unit on the right. The advance was checked and heavy casualties resulted. When a Lewis gun was called for to deal with these machine-guns, Lance-Corporal McBeath volunteered for the duty, and immediately moved off alone with a Lewis gun and his revolver. He located one of the machine-guns in action, and worked his way towards it, shooting the gunner with his revolver. Finding several other hostile machine-guns in action, he, with the assistance of a Tank, attacked them and drove the gunners to ground in a deep dug-out. 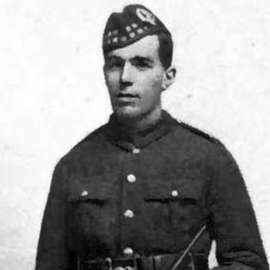 Lance-Corporal McBeath, regardless of all danger, rushed in after them, shot an enemy who opposed him on the steps, and drove the remainder of the garrison out of the dug-out, capturing three officers and thirty men. There were in all five machine-guns mounted round the dug-out and by putting them out of action he cleared the way for the advance of both units. The conduct of Lance-Corporal McBeath throughout three days of severe fighting was beyond praise. The most common age group, according to research on these 74 men is between 20-24, then 25-29 followed by 30-34. 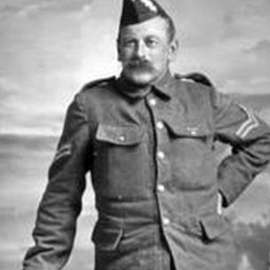 The oldest recipient was a 47 man named John Ripley, who served with the Black Watch. VICTORIA CROSS,: http://www.london-gazette.co.uk/issues/29210/pages/6270. No. 2832 Corporal John Ripley, 1st Battalion, The Black Watch (Royal Highlanders). On 9th May 1915 at Rue du Bois, France, Corporal Ripley led his section on the right of the platoon in the assault and was the first man of the battalion to climb the enemy’s parapet. From there he directed those following him to the gaps in the German wire entanglements. He then led his section through a breach in the parapet to a second line of trench. With seven or eight men he established himself, blocking other flanks, and continued to hold the position until all his men had fallen and he himself was badly wounded in the head. John survived the war and died in 1933 in St Andrews after falling from a ladder. GAZETTE ISSUE 29264, VICTORIA CROSS,: http://www.london-gazette.co.uk/issues/29264/supplements/8132. 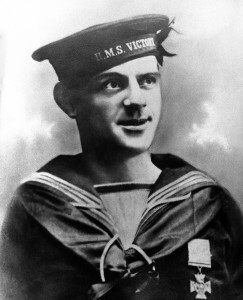 The KING has been graciously pleased to approve of the grant of the Victoria Cross to the undermentioned for the conspicuous acts of bravery: – Seaman R.N.R. George McKenzie Samson, O.N. 2408A. On 25th April 1915 during the landing on V Beach, Cape Helles, Gallipoli, Seaman Samson, with three other men was assisting the commander of their ship, HMS River Clyde at the work of securing the lighters. He worked all day under very heavy fire, attending wounded and getting out lines. He was eventually dangerously wounded by Maxim fire. Medaille Militaire. : http://www.london-gazette.co.uk/issues/30870/supplements/10092. GAZETTE ISSUE 30870, MEDAILLE MILITAIRE, Decoration conferred by the President of the French Republic for distinguished services rendered during the War. His Majesty the King has given unrestricted permission to wear the Decoration in question. The Victoria Cross belonging to George is part of the Lord Ashworth Collection in the Imperial War Museum, London. He joined the Merchant Navy after the war, dying of pneumonia. He rests in St. George’s Military Cemetery off Secretary Lane in St George’s, Bermuda. This entry was posted in General, News on December 3, 2015 by carol.